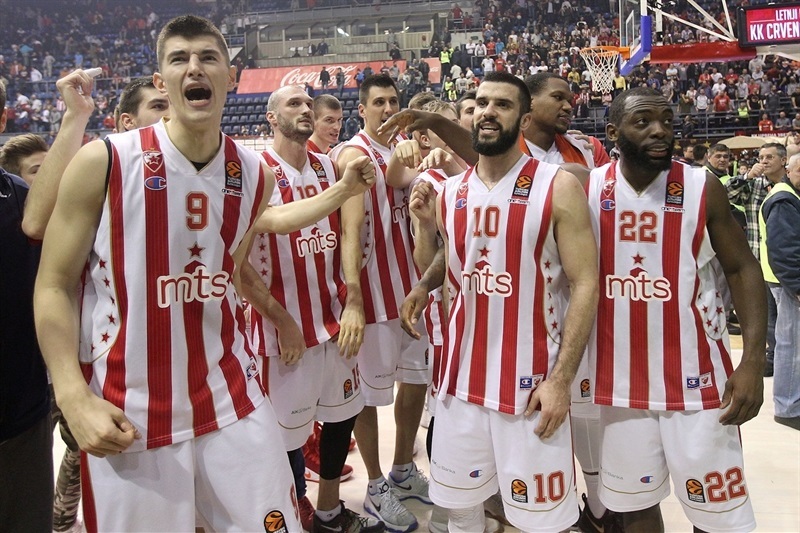 Crvena Zvezda mts Belgrade led from start to finish in beating Brose Bamberg 74-60 at Aleksandar Nikolic Hall in a clash between the champions of Serbia and Germany. Charles Jenkins scored 18 points on 3-of-4 three-point shooting to lead Zvezda, which improved to 14-10, while further dimming Bamberg’s playoff hopes as the visitors lost their fifth straight road game to fall to 8-16. 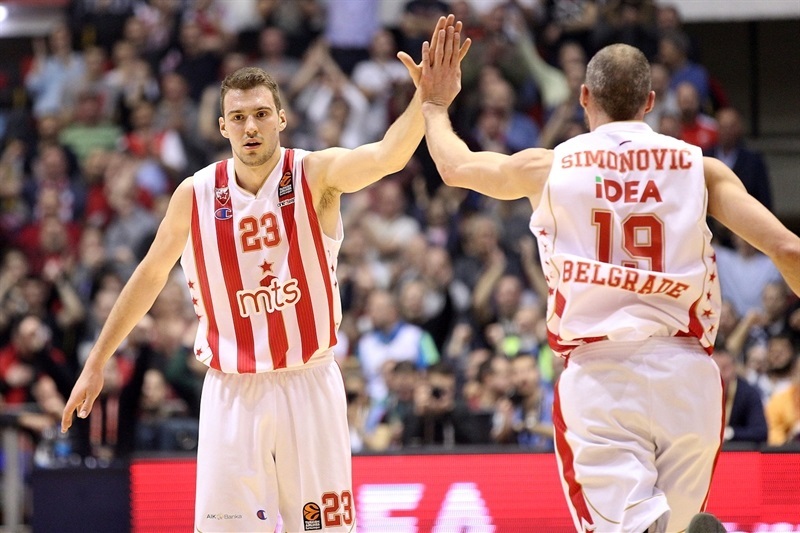 Marko Simonovic posted 13 points and 9 rebounds and Marko Guduric added 12 for the winners. Zvezda held Bamberg to 9 first-quarter points and used a 12-0 run to lead 33-15 in the second quarter. 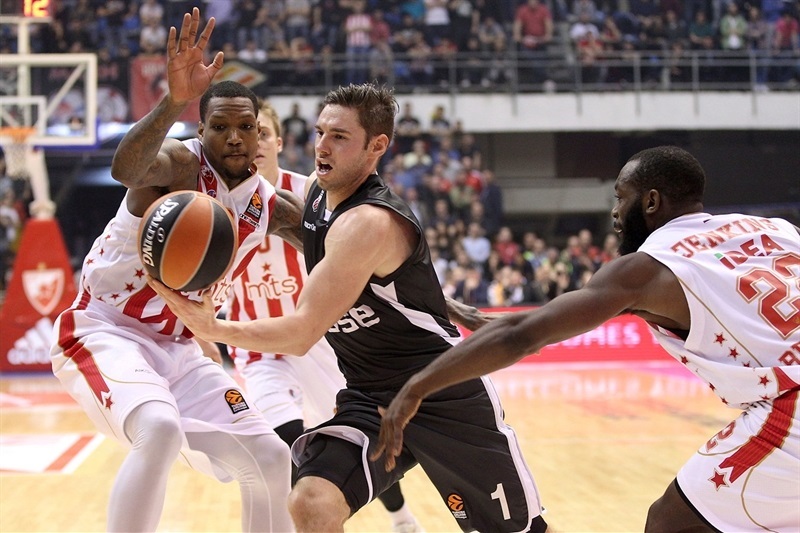 The margin peaked at 25 in the third, but then Bamberg used a 0-17 charge to get back in the game and closed to within 6 in the fourth quarter before Zvezda regained its composure and held on for the win. Fabien Causeur led all scorers with 21 points for Bamberg. The hosts took charge immediately as Luka Mitrovic scored 5 in an 8-0 start. Nicolo Melli got Bamberg on the board with a bank shot after two and a half minutes. The visitors turned that into a 0-7 push to get back in the game. 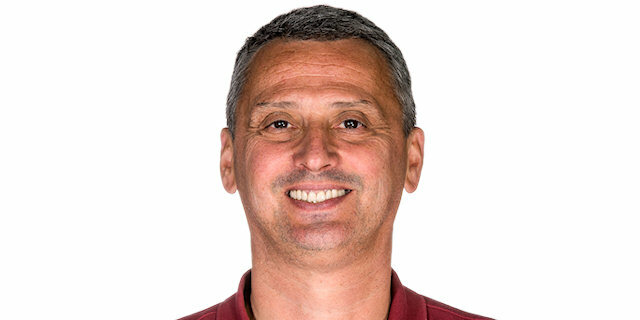 Neither team scored for more than three minutes before Milko Bjelica applied a spin move for a three-point play and, after Ognjen Dobric’s triple on the buzzer was ruled to be late, the hosts led 17-9 after 10 minutes. Nikos Zisis scored twice to keep Bamberg close, but Simonovic and Deon Thompson combined to stretch the Zvezda advantage to double figures. A deep Simonovic triple saw the hosts double up Bamberg at 30-15, but Guduric added a three after that to cap a 12-0 run. Melli stepped up with a jumper for Bamberg and threes by Causeur and Aleksej Nikoloc gave Bamberg hope, but Thompson’s layup beat the halftime buzzer to make it 43-29. 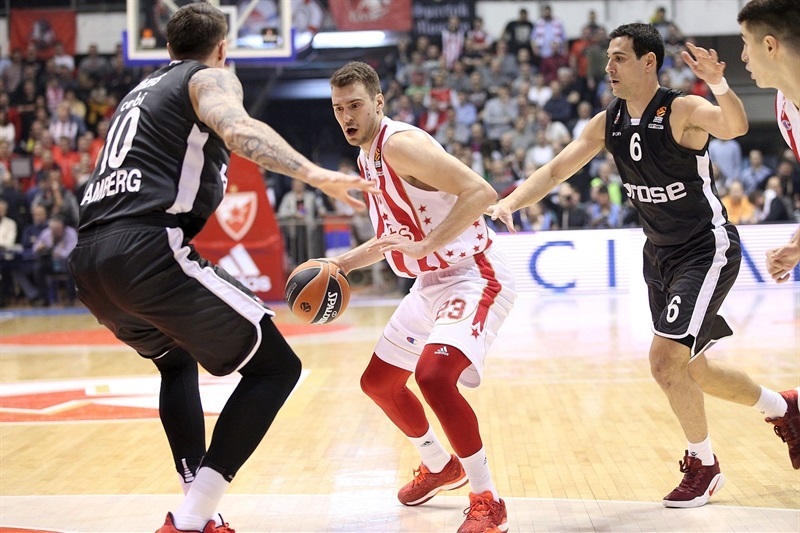 The Zvezda defense held the visitors without points for the first three minutes of the second half as the lead climbed back to 18. Soon threes by Branko Lazic and Jenkins took the difference into the 20s. Mitrovic’s three-point play capped a 13-2 start to the third quarter that made it 56-31. Patrick Heckman scored 5 points to start a 0-12 Bamberg run to close the gap to 56-43 through three quarters. Bamberg scored the first 5 points of the fourth before Zvezda called timeout with its 25-point lead down to 8. 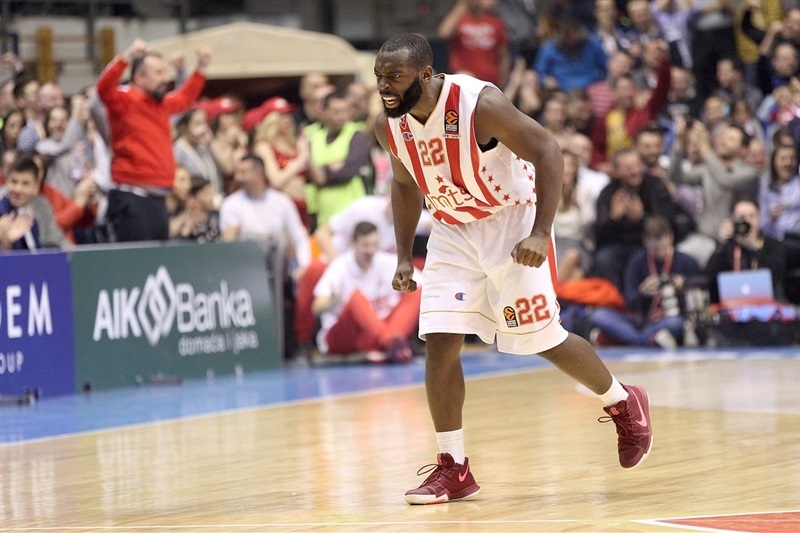 Jenkins finally ended an eight-plus minute scoring drought for Zvezda and Guduric followed with a jumper. Threes by Nikoloc and Darius Miller gave Bamberg hope at 63-57 with three minutes to go, but Simonovic and Ognjen Kuzmic – with his first basket of the game – helped Zvezda put the game on ice. 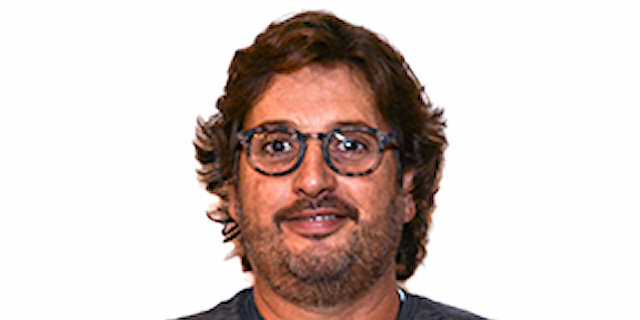 "We played well in the first half and the start of the third quarter was exactly like the first 20 minutes. After that we had a lot of problems, on defense and on offense. We played well in the fourth quarter for five minutes. It’s a big win for us. We have problems with injuries and played without important players. " "We made a huge comeback. We played very bad in the first two quarters. 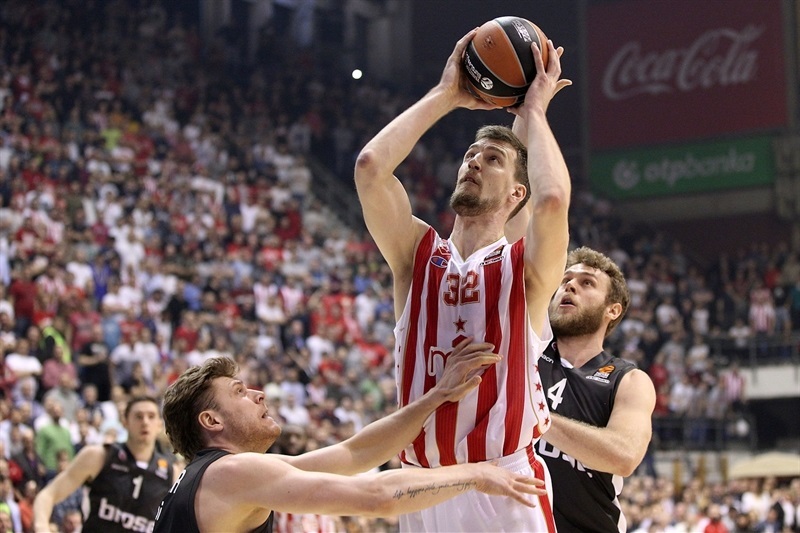 [Zvezda’s] physical and aggressive defense took us out of our system. We turned over the ball and lost confidence. In the second half we were a lot better. 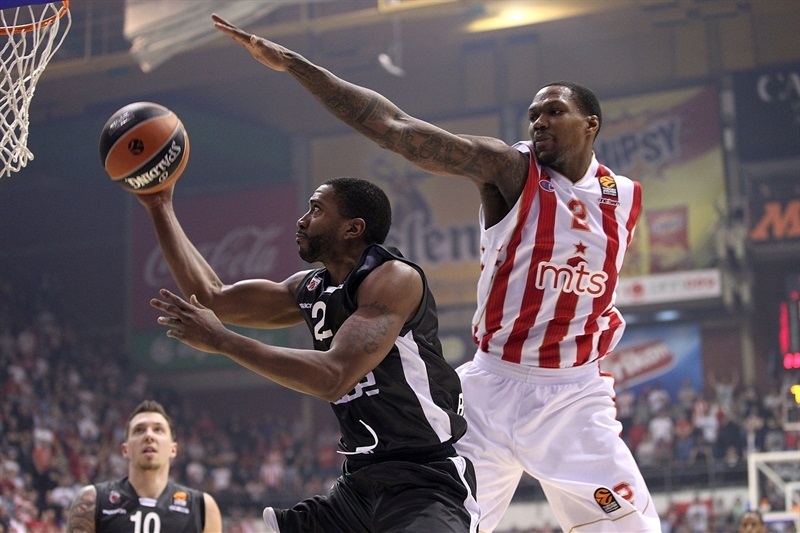 We started not very good; Zvezda hit a couple of big shots, a couple of big plays. And then we made a huge comeback. And then we were I believe one big play from changing completely the momentum of the game. It could have been on offense, an open shot that we missed. Could be a missed box out that we missed on defense or a layup that we gave to Jenkins. One more time I had to prove that we are a team and we play no matter what is going on in such a tough environment like tonight." "It was a very tough game. They came back in the second half because we stopped playing the way we did in the first half. They used this to come back, but then we started to play great on defense and that’s why we won. Big win for us and congratulations to everybody. 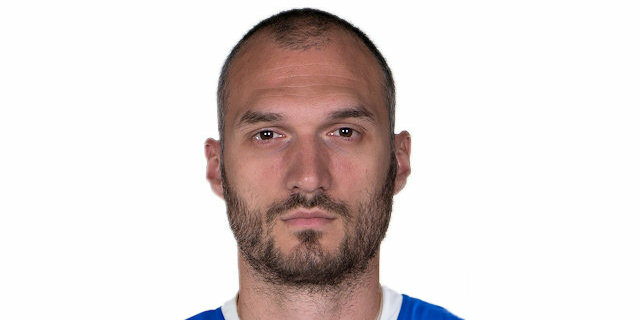 It is very important because we played without Jovic and Dangubic and it’s difficult when you miss two [starters] like this. We need a couple more wins to make the [playoffs] and I hope we are going to make it. " "As we said before the game, they are a very physical team. We weren’t able to play in the first half in this environment. Many guys are not accustomed to these conditions, so we were totally out of the game. It was great that we didn’t stop fighting. And when we went down 25 we were able to come back to within 8 points. But it was all in the first half. It was a good experience to play on such a difficult court, this atmosphere and a team that plays so aggressively. Overall, they deserved to win and that’s why they took it. "